Your child can follow these instructions to create a dog feeder or a cereal dispenser while learning about the meanings of words such as directions, assemble, and materials. The Super Readers learn what it means to add. 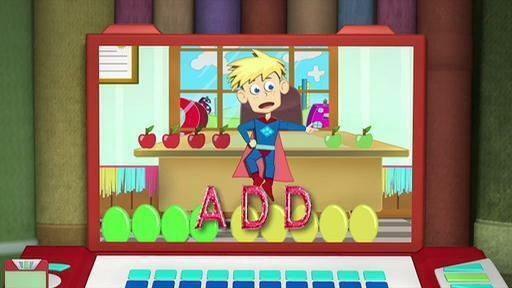 Your child will learn about the letters that make up the word "add. Your child can learn the word "POTENTIAL" in this clip where Whammer talks to Word Girl about Chuck becoming a better villain. 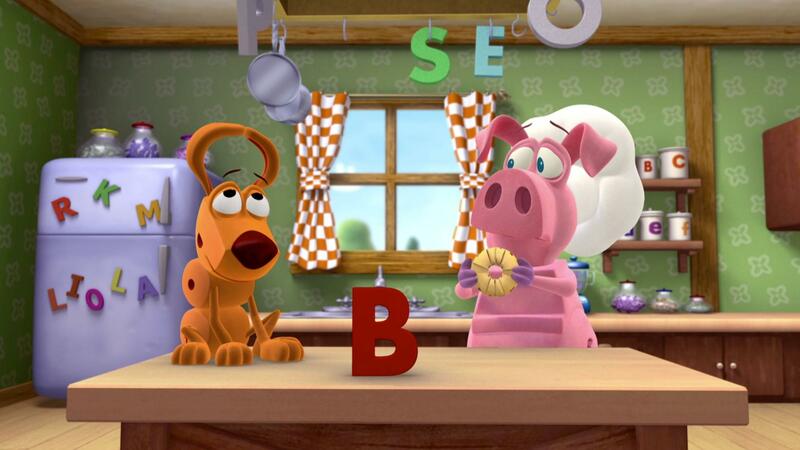 In this clip, your child can help Alpha Pig identify letters to figure out where Woofster is hiding. Get creative! Work with your child to make fun finger puppets and then write and act out a play with them. 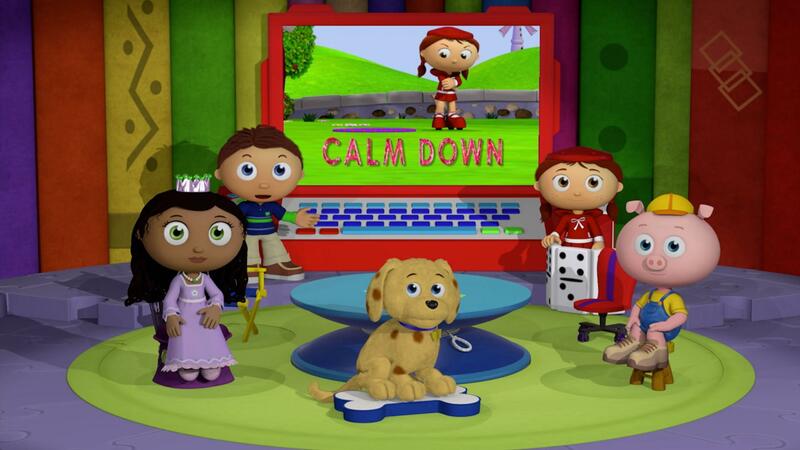 Red shows what she learned from the story about what it means to calm down by applying it when she's frustrated. 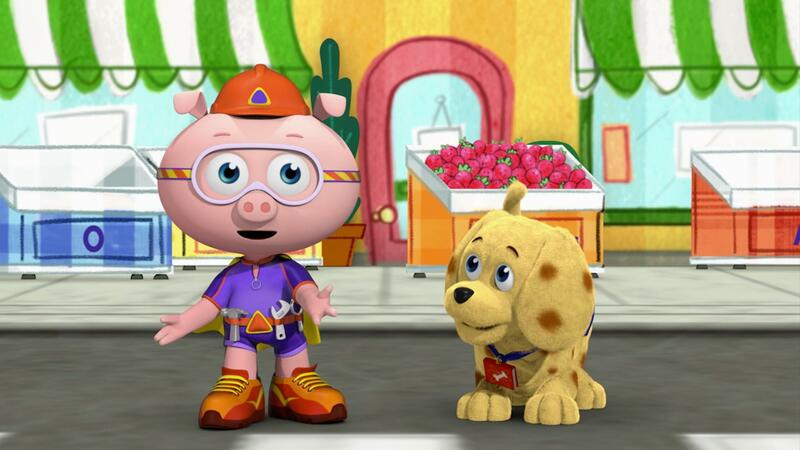 Children can use materials from around their homes to dress up Ruff for his next show! Help children explore which properties are best suited for different occasions -- such as a rainy day or a disco party! Mystery Island, Here We Come! 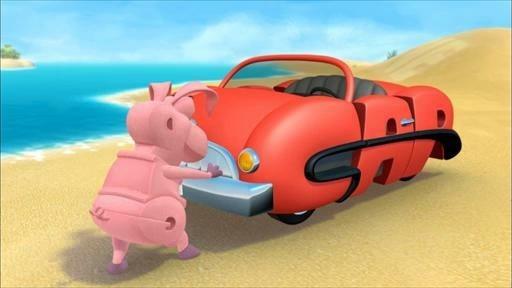 Frog and Pig make a B-O-A-T to get to Mystery Island.